We are a leading Manufacturer of direct acting solenoid valves, disc rotatory valves, quick exhaust and shuttle valves, air pressure regulators, flow control and non return valves and automatic drain valves from Jaipur, India. We take pleasure to introduce ourselves as the renowned trader, distributor and supplier of premium quality Direct Acting Solenoid Valves. 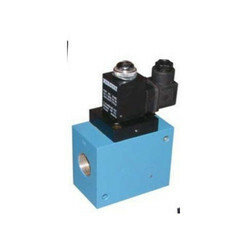 The offered solenoid valves are manufactured using premium quality raw material and sophisticated techniques. 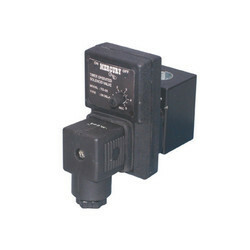 Also, the offered solenoid valves are designed under the surveillance of trained experts at our vendors’ end. 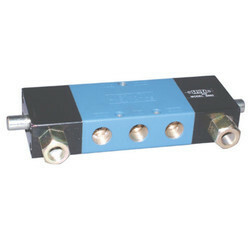 Moreover, it is tested on different quality measures before being dealt with our customers. 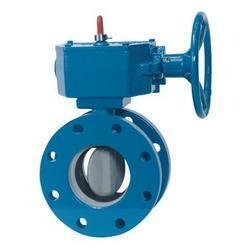 These are 4 WAY, 3 position Disc Rotatory Valves. 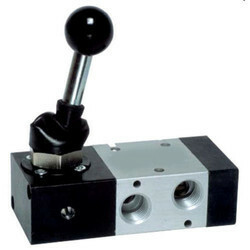 Mercury’s robust design has stood the test of time and hence is preferred by many OEM clients.They are available only in G1/4” BSP port sizes and come in hand lever or selector knob type. The detailed models are listed below. 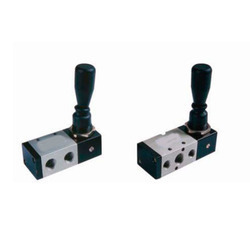 These Quick Exhaust And Shuttle Valves are versatile and required in automation systems and pneumatic circuits. Air Pressure Regulators are required to control the air pressure being fed into the system and silencers are used to reduce the noise from the exhaust air from the Pneumatic valves. 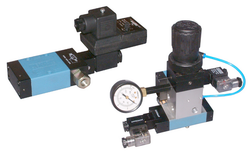 Flow Control And Non Return Valves are essential to control the speed and timings of the pneumatic systems. Non return valves perform as their name suggests i.e does not allow the compressed air to return through it in the backward direction. The various models available are listed below. Automatic Drain valves are used for removal of condensed water from compressed air systems.” Mercury” range of automatic drain valves is Compact, Robust and cone in multiple sizes depending on the size of the receiver or tanks. 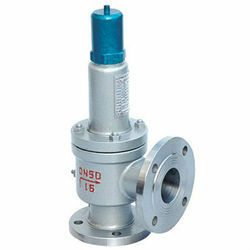 Hand Slide Valve this is inline valves and are used to isolate machines/ systems from the main compressed air line. 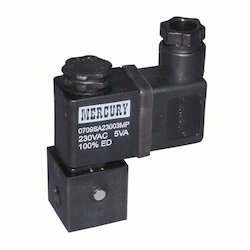 We are noted trader and distributor of supreme grade Mercury Pneumatic Valves. 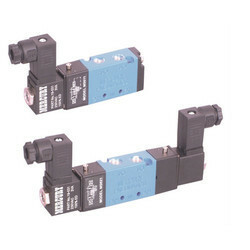 The offered solenoid valves are manufactured using the best grade factor inputs and latest techniques in strict adherence to set industry standards. 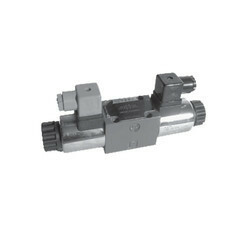 Our offered solenoid valves are widely used for different purposes owing to its varied quality attributes. Furthermore, it is strictly tested on variegated quality measures assuring its flawlessness at user’s premises. 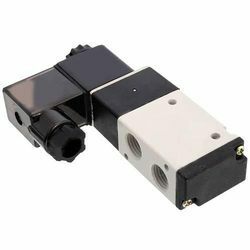 We offer Direct Acting Solenoid Valves of high quality to our client.Gang manifold assemblies are available. 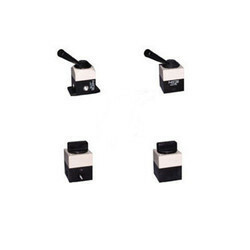 Series S valves consist of plunger , palm button, push button, selector knob, roller lever , foot pedal , direct roller and hand lever operated type spool valves. 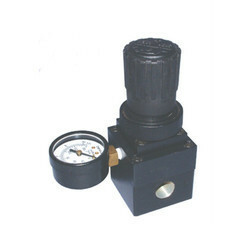 They are available in G1/8” , G ¼” and G 1/” sizes in 3 WAY and 4 WAY configurations. The detailed models are listed below. 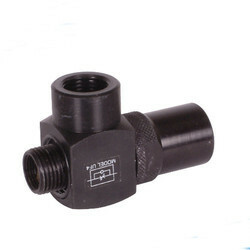 This valve is used as a FAIL SAFE device for operating pneumatic clutches/ brakes or power presses and similar other machines needing such protection. They can generate an electrical signal if the valve fails thus giving feedback to the controls to stop the machine thus ensuring an accident will never take place. 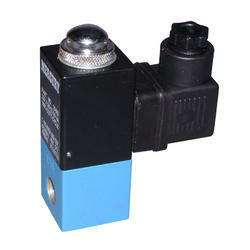 NP series Poppet Type Solenoid Valves are compact Robust. 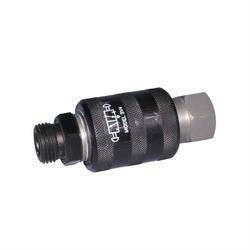 They are available in G1/4”, G1/2” and G3/4”BSP port sizes in 3WAY and 4WAY configurations. The detailed models are listed below. 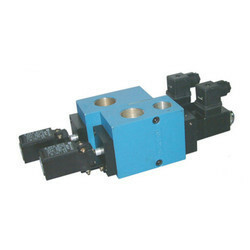 We are a trustworthy trader, distributor and supplier of superior quality Hydro Moulding Machine Valves. 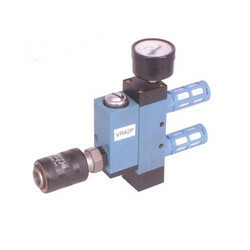 At our vendors' premises, the offered machine valves are precisely manufactured using premium quality raw material and innovative techniques following the set industry norms. Our offered machine valves are much-admired in the global market owing to its excellent functionality. Also, it is strictly checked by the quality inspectors to ensure its excellence. 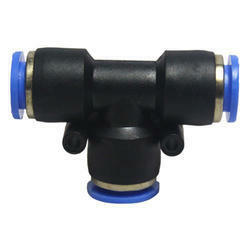 We offer Special Valve For Hydro Pneumatic Pumps And Air Booster to our client. 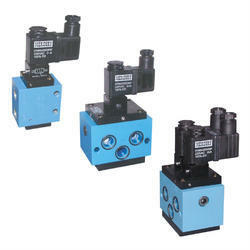 Spool Solenoid Valves are compact and versatile valves. 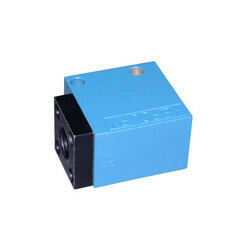 We offer a Time Operated Solenoid Valves to our client. 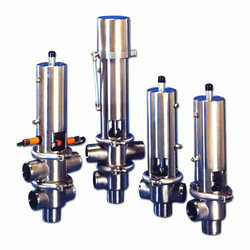 We Deal in a high quality of Pneumatic Valves. 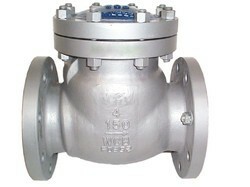 We offer Pneumatic Valves to our client. 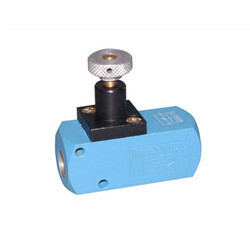 Our Company deals with a high quality of Safety Valve.